Performs the chrome plating process, strongly corrosion resistance, I will last longer. I need an 8 mm, 10 mm wrench and I found this. I was able to work as intended and I was satisfied. I felt that the quality was also good. This review is about item#60940835. I use it for parts that I do not want to apply much. Because the accuracy is not good and the outside diameter is also large, there are parts that are not narrow enough to enter. It was good if it was 8 mm, 10 mm, 12 mm. I do not use 9mm much. It is easy to use with a size that fits in the palm of your hand. In order to use 9 mm for adjustment of the derailleur, together with the other 8 mm and 10 mm, the size to be used most is aligned and it is very good. I wish it was 8 mm, 10 mm, 12 mm · · · · · · · · · · · · · · · · · · · · · · · · · · · · · · · · · · · · · · · · · · · · · · · · · Do you use 9mm? Is it? Is it? It is compact and the best to carry. Durability is not expected because the price is reasonable. I do not think that it will be used so much, so I think it is quite possessive. 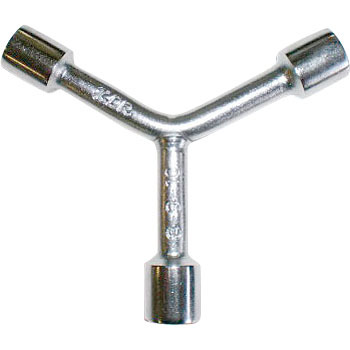 This nut is hard to use with ordinary wrench or plate ratchet. By using this Y type it is possible to fix accurately and quickly. It will not be broken at first, but if you lose it will repeat.